American Dream sets a high standard for the products we choose to offer: They must deliver the best performance and efficiency at an excellent value and price. Our top, NATE-certified technicians are trained to quickly and effectively diagnose, adjust or repair your cooling and heating system. Honest, reliable service with a personal touch. The American Dream team takes pride in what we do and how well we do it.Take a look at some of our projects and see how we work. Reliable Comfort For The Life You Live. American Dream Heating and Cooling has a simple approach to making our customers feel valued: We bring them outstanding service and the highest quality products at a fair price. We offer a can-do attitude and wide range of comfort solutions that set us apart from other Central New Jersey heating and air conditioning companies. From installing a top high-efficiency air conditioning and heating system you can rely on for many years to come, to repairing and maintaining the equipment you depend on today, you can count on us for the expert, eagle-eye service that gets your project done right. Whatever it takes to make your house feel more like the home that matches your dreams, we’re here to help. Explore our website to learn more about what we can do for you. Before the cooling or heating seasons, it is a good idea to have your system checked out by one of our maintenance experts. 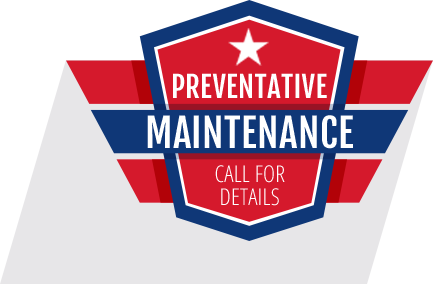 For even more peace of mind, we offer annual preventative maintenance plans that keep your equipment operating at peak efficiency and cost savings year-round. Installation was done as promised, on time and within budget. I recommend this company to all of my friends and family looking for a great heating and cooling contractor. We hired American Dream to install a central air unit. We also had contacted Sears and Princeton Air. Artur at American Dream was far more knowledgeable about his product, suggested modifications the others did not, and was the most reasonably priced. He and his crew were clean cut, respectful of our property, arrived on time, and cleaned up after themselves. Do yourselves a favor and let them bid on your project. They will sell themselves. The Project was completed on time with no issues and Art kept me informed on progress along the way. The installers were courteous and thorough and did a great job. I’d recommend this company for A/C system replacement. Artur was great! He is very knowledgeable, explained everything well and offered exceptional equipment and services at a reasonable price. He even did the install himself. I highly recommend American Dream, it was very refreshing to find them after getting quotes from many other big companies with high prices. Very impressed with their knowledge, workmanship, and competence. A pleasure to work with. Artur was great, knows what he’s talking about and did a great job installing my new furnace and AC, and the price was good.